In this blog post, we’ll take a look at a poor-performing account we recently encountered, our optimization strategy, and our performance results. We’ve all been there – an AdWords account is behaving badly. It can be an overwhelming experience – there’s a ton of data, what do you look at first? What do you optimize? How? I’ve often found that getting back to basics can make the most difference for account performance. The client in discussion is a B2B SaaS whose primary KPIs are lead volume and Cost per Lead, with an ultimate goal of $120 CPL. Looks familiar? 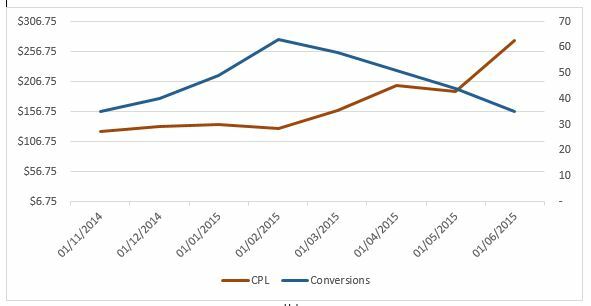 Well, we’ve all seen graphs like this one: Cost per lead (CPL) starts going up month to month, and conversions drop off. What do we do? We go back and dig … and dig … and dig. Sometimes we come up with something good – we find a keyword, an ad, or a landing page that was changed during this time period. We find a major change in the competitive landscape. And then, we know what to do. o No significant changes in competitive landscape. o No significant changes in Avg CPC. o Although new LPs were tested during this period, the legacy LPs showed poor performance as well. 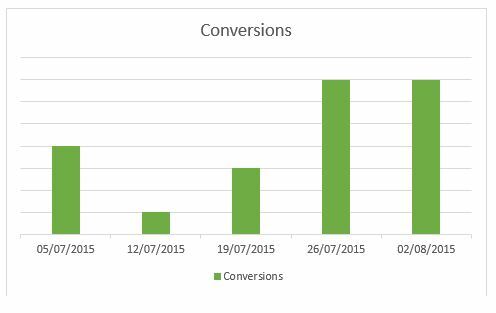 o No new significant targeting was tested during this period that might throw off the numbers. o In fact, the performance drop goes down to a search-query-by-search-query level – we’re not talking about increased exposure here. Listen – there are a lot of changes here. There are a lot of moving parts. The problem was that we were unable to pinpoint one thing that drove the performance change. 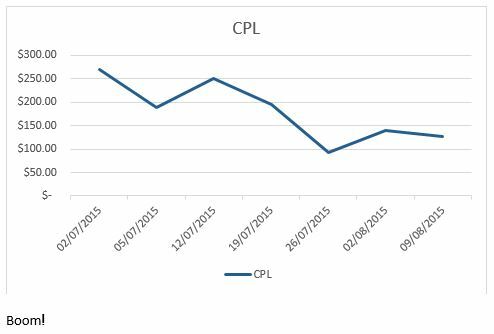 Also, the change was gradual – there’s no one day where we saw a spike in CPL. Ok. Deep breath, y’all. We can do this. There’s one thing about the chart above that jumped out at me in terms of overall account health. I’m not talking about relative performance between time periods. We’ve been there, and we came up blank. CTR can really mess with your account health. Your account can be doing great one second, and then you can start seeing really poor behavior the next. CPCs may fluctuate wildly, position can go up or down on a dime, and you may start showing up at weird, less-competitive times of the day. In short, with problematic CTRs, Google might decide to banish you to the boonies of the search results world. We decided to take a really aggressive tack with CTRs. We needed account health to come back before we could start to do more granular optimization. So, we have poor CTR, good-enough avg position, and no conversions. We paused those bad boys – they’re just dragging everything else down. I’m not precluding the notion of reactivating them at a later point, with new messaging or new landing pages. Right now, however, we need them to go. You can also see here, that this wasn’t pure CTR optimization. CTR was the driving force behind this optimization effort, but we still need to keep our endgame in mind. 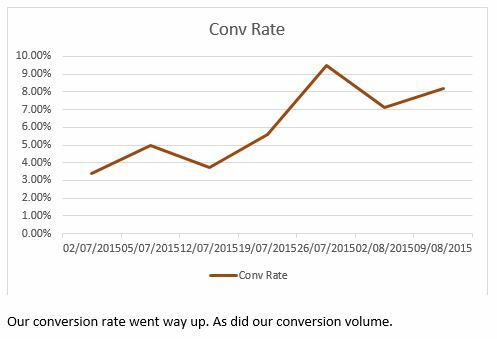 We kept keywords that historically provided conversions. We’re just dumping the real junk for now. 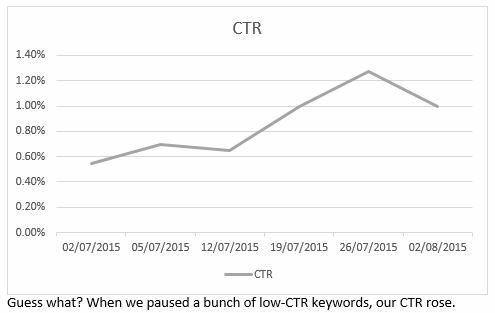 Well, we were taking low avg position keywords that showed relevance potential (in this case, the potential that they showed was a relatively high CTR). We took these keywords and raised their bid – we want to give them a chance to catch those top spots, see what clicks and conversions they are capable of under ideal circumstances. 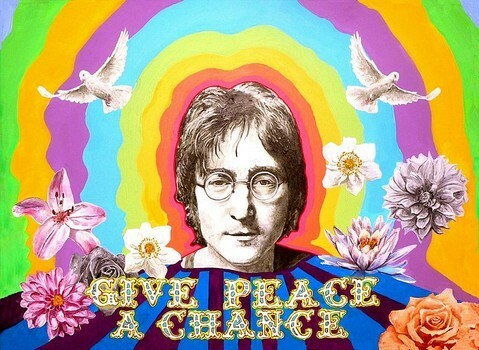 Just replace “Peace” with “Keyword”, and that’s us. We’re exactly like John Lennon. 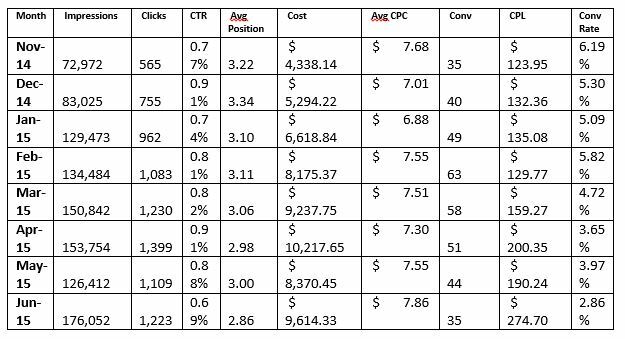 Of course, our optimization wasn’t limited to keyword-level bid and status adjustments, although these were the major drivers during this period. An (abridged) list of additional changes below. We began making these changes on July 22. Let’s take a look at what happened. 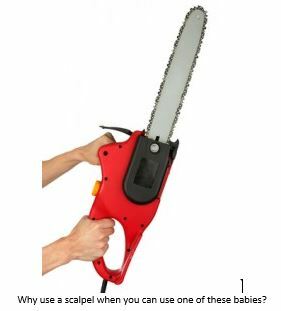 We’ll start with the easy one. 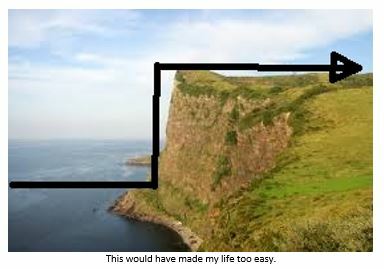 • Improved account health via aggressive cuts based upon CTR/conversion data. • Removed underperforming keywords to allow higher-performing ones to capture more traffic. • Immediately saw an improvement in performance across all metrics. • Freed us up for other aggressive targeting tests (currently ongoing). • Sometimes looking at history and understanding what “went wrong” will be a huge time drain, without providing actionable insights. • Assess what is currently going wrong in an account and deal with that. This may be an ongoing issue, or a recent development. • Use that data to take immediate, decisive, aggressive action. Tune in next time for “AdWords conversion tracking basics – How you should really set up conversion tracking, and why”. About the Author: Aron Skversky is a PPC Manager at K/Logic. Along with his team of marketing experts, he specializes in bringing rising SaaS startups to mainstream success. Aron’s SEM expertise includes AdWords, Bing, Facebook, Twitter, & LinkedIn, and he manages accounts with spend from $2K to six-figure monthly budgets.